Hotglue produced the national ’Be the Change’ campaign for Bendigo Bank. We set out to capture the real and positive impact the banking of their customers has on local people and organisations. It was an amazing project to be involved with and especially the challenge of capturing authentic, raw emotions when customers realise that their banking is contributing so much more to their community. Bendigo Bank has contributed over $165million to community initiatives across Australia. To tell these stories we created a live ‘surprise’ in various Australian locations. On the night before the surprise, we rigged each branch location with multiple hidden cameras. The next day, as the unsuspecting customer arrived for a decoy meeting, we orchestrated dozens of community members to stealthily fill the branch. When the customer was invited to ‘see the change’ that their banking has made, they reacted with shock and amazement at the masses that had assembled to thank them. It's the drink on everyone's lips right now - and for all the right reasons! Remedy have teamed up with us to propel their range of kombucha drinks to the next level, enlisting us for Media Strategy, Planning and Buying, Sponsorship Integration and Creative Content Production. You'll find Remedy all over the Melbourne Comedy Festival throughout April, and popping up all over the country beyond that. Featured content pieces with Moana Hope (AFLW Superstar) and Dave Hughes have been distributed through social media, maximising Remedy's ambassador arrangements. With sales on the increase and distribution expanding daily, we're excited to be alongside Remedy for the journey. SANE Australia needed to reduce the stigma associated with Schizophrenia. We produced Hannah's story with a small crew of 3 people over 1 day in Brisbane. We couldn't be happier with the result and also to work with such an amazing person like Hannah, who opened her heart and told her personal story to help raise awareness and reduce stigma around schizophrenia. At the end of the 2016 Supercars season, Walkinshaw Racing said goodbye to their long-standing relationship with Holden and the iconic Holden Racing Team brand. Faced with big challenges, the team needed to come out with a bold launch that told the world where they stood. Hotglue developed a launch strategy that included the 'Born for This' positioning, along with a media and content strategy that would re-announce the team on the national stage. Part of the Active Cosmetics Division of L'Oreal Australia, La Roche-Posay is one of the fastest growing brands within the L'Oreal group. Social & Digital Media is the primary outward communications platform for the brand, and they have trusted Hotglue to deliver best-in-class content and strategy since June 2015. Our 'always-on' approach allows us to continually create and distribute engaging digital content that keeps the brand top-of-mind for consumers, helping the brand achieve YoY market share growth that's leading the category. There are many messages that need to be communicated about fresh extra virgin olive oil that can’t be communicated in a 30sec TVC or a Full Page magazine ad. We needed to dispel myths and show people you can cook with it through demonstration whilst conveying the amazing health benefits. We were challenged to develop a strategy that allowed Cobram Estate to clearly demonstrate key cooking and usage occasions. The answer came through understanding our target audience, their media consumption habits and core media environments and then working closely with Cobram Estate and chose media partners to seamlessly integrate the Cobram Estate brand. We worked collaboratively with two of Australia’s most recognised and favourite food and lifestyle brands including MasterChef and Better Homes & Gardens to create a truly integrated campaign starting with in-program integration (exclusive olive oil partner) in cooking segments and extending that integration to talent endorsement through bespoke TVCs and recipe video creation, stills photography, social media/digital media assets and IP usage for in-store activations and content usage. HSV is synonymous with design, performance and technology, and to be worthy of 'HSV Ambassador' status, you need to be at the top of your game. Hotglue developed a concept video series, titled 'Driven By', that would dive deep into the mindset of HSV's chosen few. Shot over a series of months, the cinematic, yet intimate series has provided a never before seen insight into what drives the HSV family of ambassadors, and has been featured on numerous media outlets, including Fox Sports, V8 Supercars, Triple M/Austereo, and many more. In the field of branded content, Red Bull has to be one of the most exciting brands to work for - their commitment to making extreme sports videos has grown a content empire which is fast overtaking their original energy drink product. Hotglue, along with Director Chris Phillips, developed concepts for two rider profiles of the Red Bull team. We were lucky enough to spend time with Scotty James and Alex 'Chumpy' Pullin during their preparation for the 2014 Sochi Winter Olympics. The resulting content was featured on national TV (Channel 9's Wide World Of Sports) and internationally through the Red Bull content network. For SANE Australia, the challenge was to develop an advertising, media and marketing campaign to build their thriving communities via social connection and improve mental health outcomes focussed on those living in regional and rural Australia by driving awareness, engagement and participation in the peer-to-peer forums. Hotglue developed a truly integrated media and creative strategy including television, radio, digital and social media featuring real people and real stories to help reduce the stigma of mental health in Australia whilst driving awareness of the SANE forums. The campaign not only delivered significant media ROI, it exceeded all client expectations and KPIs including awareness objectives, and clearly demonstrated significant traffic increases to the SANE website and forums increasing help-seeking behaviour. This campaign impact and performance was also monitored and measured by the University of NSW. 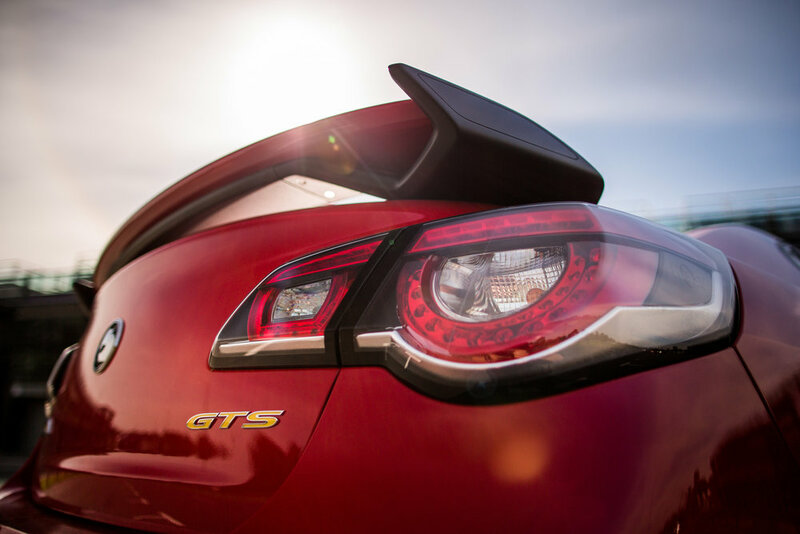 With Holden announcing the end of the locally manufactured Commodore in 2017, HSV needed to make the GTS-R range the biggest and best range of vehicles they've ever produced. Hotglue were engaged to deliver this launch to the public. A digital & social-only launch was executed and the range was the most in-demand set of vehicles HSV have ever produced, with dealerships selling out of W1 stock prior to models hitting the sales floor.